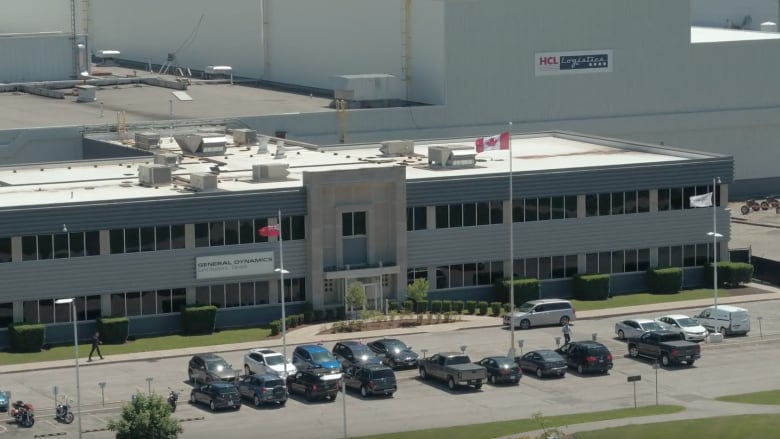 A high level of anxiety could be felt as hundreds of workers at the General Dynamics factory in London, Ont., waited and watched for details on the future of arms contracts with Saudi Arabia. The U.S.-based company entered into a $15-billion Cdn deal as a supplier in 2014 to build light armoured vehicles for the Saudi Arabian government. Maintenance crews from the Ontario manufacturer were also expected to be embedded at multiple locations throughout the kingdom. With that country now threatening new sanctions on trade, the impact on jobs both at General Dynamics Land Systems (GDLS) and its 500 Canadian suppliers are at risk. "There is an absolute clear and present risk to jobs," said Unifor Local 27 president Jim Reid, who represents 470 factory workers at GDLS. An additional 1,500 non-unionized people are also employed at the London headquarters. "There's a lot of anxiety, but let's hope cooler heads prevail on the Saudi side," Reid said. Saudi Arabia is accusing the Canadian government of meddling following a social media post calling on the Saudi Kingdom to release women's rights activists. In retaliation, the kingdom is threatening to freeze trade and new investment with Canada. General Dynamics spokesperson Doug Wilson-Hodge declined to comment on the situation, including what it could mean for existing and future contracts. But he said GDLS exports 90 per cent of its products, with the majority of current business dependent on Saudi Arabia. This diplomatic dispute is again raising questions about doing business with a country that has a history of human rights violations. NDP MP Irene Mathyssen, whose London-Fanshawe riding includes the GDLS factory, said she supports the Liberal government's position to stand up for human rights. But she questioned the role Ottawa has played over the years in facilitating contracts with Saudi Arabia. "We as a nation need to deal with reliable business partners, allies, not a country that's going to go to such extremes over a tweet," Mathyssen said. CBC News was the first to report details of the deal that had been kept sealed under a confidentiality agreement demanded by the Saudi government. It showed 928 light armoured vehicles were ordered, with 119 LAV 6 vehicles to be fitted with 105-millimetre cannons. Mathyssen flatly denounced the deal, which she said contributes to warfare. But she also called on Ottawa to make clear how it plans to protect workers and their families from what is a very difficult situation. Canada's ambassador has been ordered to leave the country, though CBC News has confirmed Dennis Horak was in Toronto on annual leave. Saudi Arabia's ambassador, Naif Al Sudairy, paid a visit to London in April 2018 and met with the Ontario city's mayor, highlighting just how deep the business ties are between the city and the Saudi Kingdom. 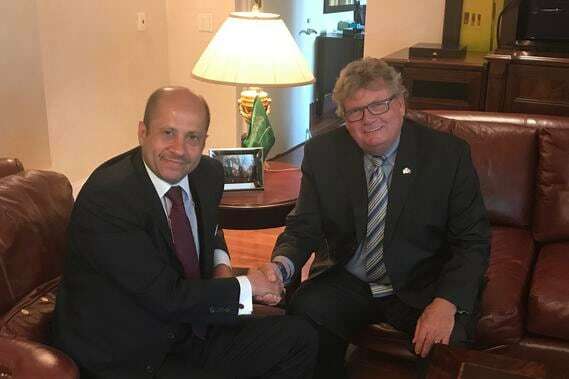 Ed Holder, London's mayoral hopeful and former Conservative MP in the Harper government, also met with the ambassador when he was chair of the Canada-Saudi Business Council. In a statement Monday, Holder said he hopes Saudi Arabia will honour the preapproved contract with GDLS despite the recent friction between the two countries.